August 1970 saw the introduction of yet another facelifted version of the VE/VF bodystyle in the 'VG' Valiant. The VG's most noticeable difference was the use of square headlight lenses instead of the traditional round headlights, although it still had the indicators on the top of the leading edges of front guards (as in the previous VF). The grill had a cleaner less cluttered layout than before and the rear end also had small changes to trim and tailights, again a smaller squarer vesion than the previous model. Sedan, Wagon, Ute and Hardtop body styles were offered once again aswell as the same luxury levels as before. The biggest announcement to come with the VG Valiant was of the all new HEMI 6 engine. The tried and trusted Slant 6 which had been used by Chrysler for the past decade was now superceded by a new 245 cubic inch 'upright' inline 6 cylinder motor, which boasted hemispherical cylinder head chambers - hence the nickname HEMI (although infact they were not truely hemispherical!). The name HEMI was already legendary in America with Chrysler's use of the 426 HEMI V8 (aswell as classic early 331,354 and 392 HEMI V8s), so it was not hard for Chrysler Australia to convince the masses that the HEMI 6 was the way to go. The new 4.0litre 245 HEMI 6 (with 1BBL carb) made 165bhp and 235 lb/ft or torque. 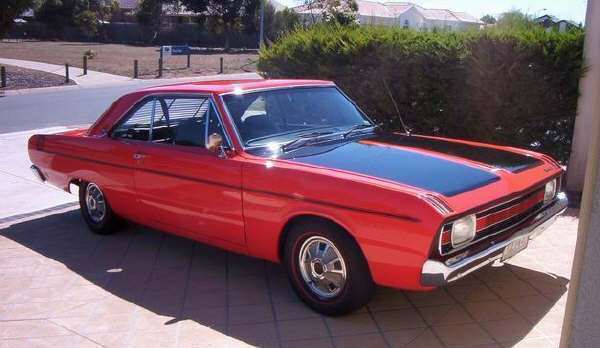 The sporty Pacer Sedan was available again but whereas the VF Pacer was only offered with the one power output, the new VG Pacer offered 3 different versions of the new 245 HEMI engine, (although at the time Chrysler Australia didn`t actually publish any output figures for the Pacers). The VG series Pacers were also the first (and last) to be offered in the Hardtop body style, of which 3 were optioned with the E31 package and 3 were optioned with E35 package. No VG Pacer Hardtops were available with the E34 option. Unfortunately due to Chrysler Australia's policy of using only locally produced components, and the fact that no local manufacturer was producing a 4 speed gearbox, the Pacer was limited to a 3 speed floor shift manual gearbox.